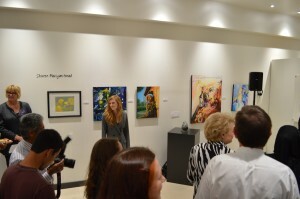 The senior art exhibit opening is the biggest opening reception of the year. Come celebrate with the friends, family, classmates, and faculty of the students who are graduating. Students featured in the exhibit will be in attendance and will be introduced. Feel free to ask questions and perhaps purchase art to take home with you. Immediately following this event there will be an Opening Reception next door at the William Rolland Art Center (WRAC) for CLUfest 2019, an amazing exhibit from Multimedia, 7-9 pm.